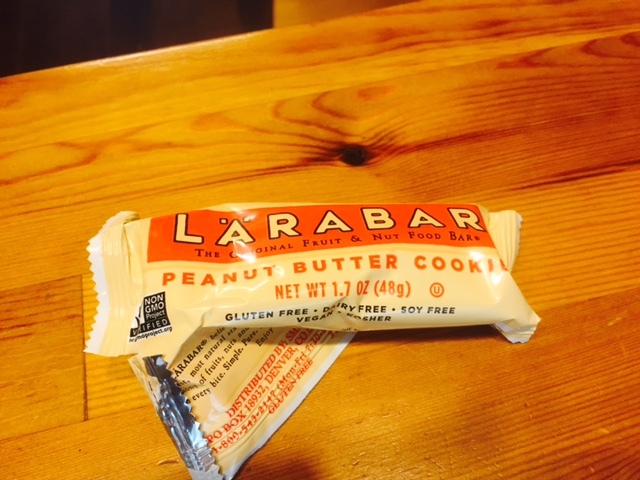 Being LB: What I Ate Wednesday - Because you are as nosey as me I hope? 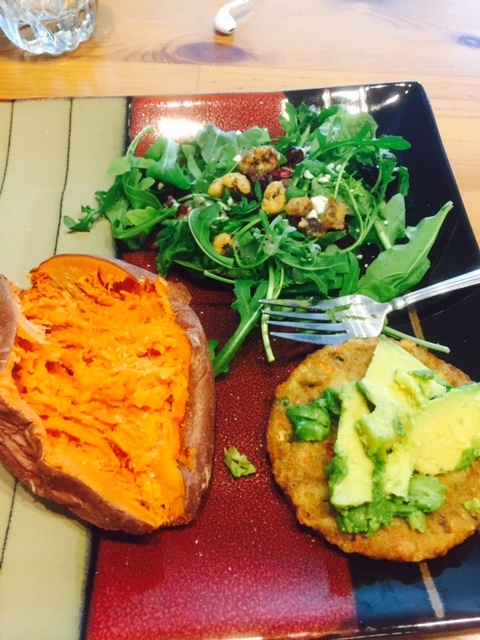 What I Ate Wednesday - Because you are as nosey as me I hope? Since my move to San Diego, I have changed up my eating routine quite a bit. I now wake up much earlier, about 5:30am when I get in a workout. My workday begins at 7am. Which means lunch usually comes right at or before the noon hour. And dinner is served like we live in a senior community. I am usually hungry pretty soon after I wake up. I also get hungry for multiple snacks per day, and that's okay. I make sure I eat whenever I am hungry. "Holding out" just isn't in my vocabulary anymore. Our bodies are smart and they will tell us what we need if we listen to them. So for What I Ate Wednesday, I am sharing a full day of eats. 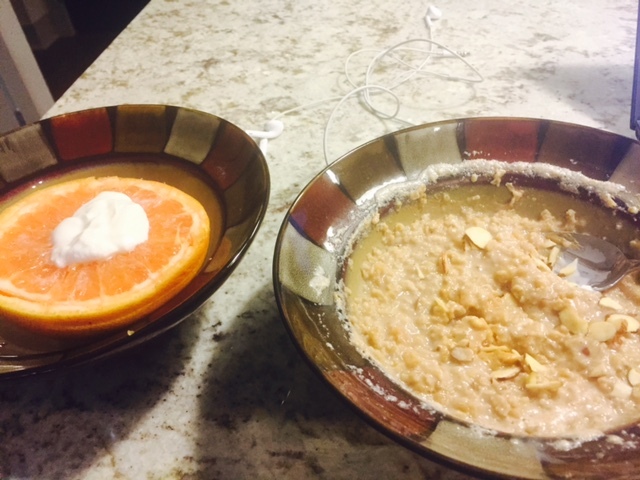 Breakfast, 7:30am: A half of a grapefruit with a dollop of vanilla Greek yogurt, plus a packet of apple cinnamon oatmeal made with almond milk, topped with scoop of crunchy peanut butter and some sliced almonds. 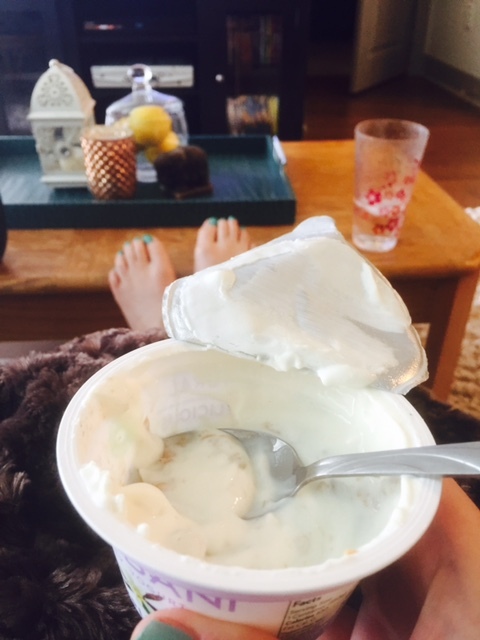 Snack, 10am: The rest of that vanilla Greek yogurt with a scoop of peanut butter mixed in. You can't see it, but its definitely in there. I obviously love peanut butter. Snack, 2:30pm: A Lara bar, YUM. See the crumbs on my thumb? Gross, sorry. I had a handful of chex mix prior to grabbing the yogurt...*blush*. 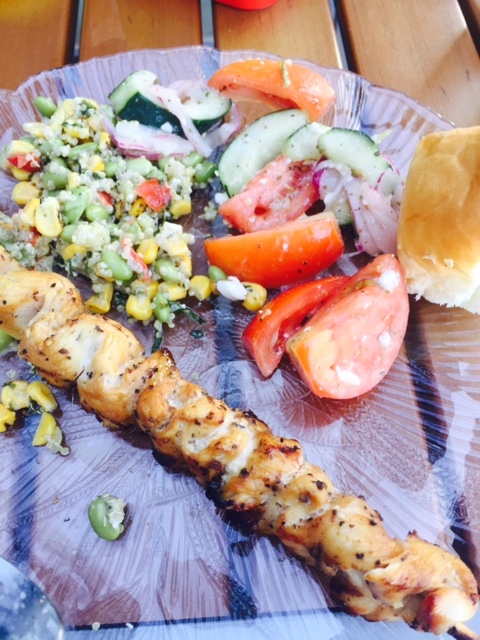 Dinner, 6pm: We picked up some grocery store kabobs and deli items and grilled on our roof. Also had a Hawaiian roll with butter and a glass of wine. Had a couple of servings of the edamame salad pictured below. 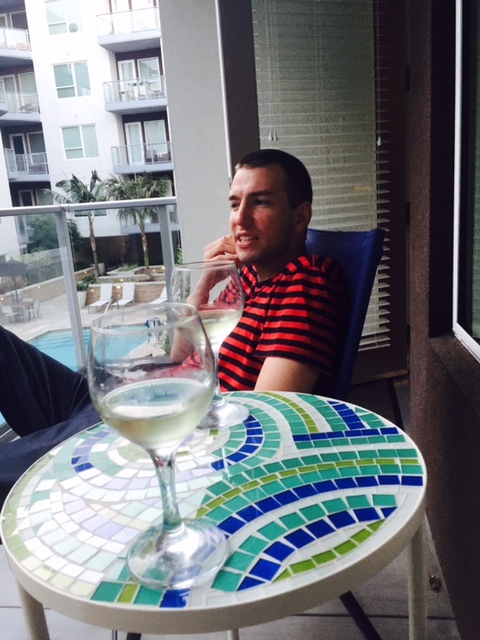 Then one more glass of wine and some music on our balcony after dinner. We definitely don't take this San Diego weather for granted like most people here seem to do. After moving from DC just a few weeks ago, we truly appreciate the cool ocean breeze and lack of humidity. That was a day of eats for me! Hope you had some delicious food too. I still sometimes find myself doing the whole "hold off" thing when it comes to eating. Some days I get hungry for lunch at 11 and 50% of the time I just make myself wait til noon and 50% of the time I go ahead and eat. But I can tell you that when I just "go ahead and eat", I am way less anxious because I'm not sitting there thinking about food! 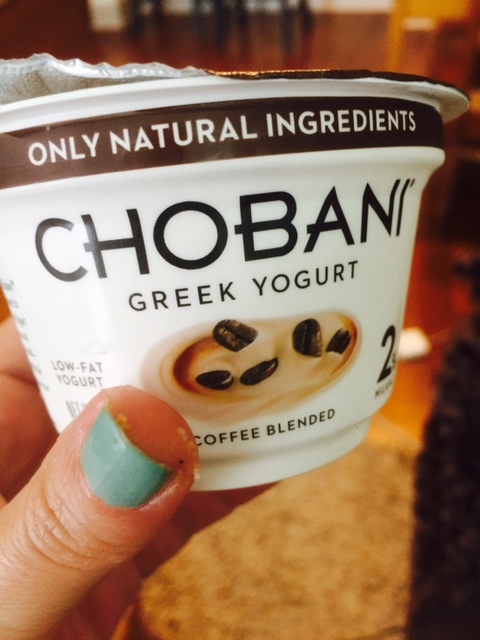 I had NO idea Chobani had a coffee flavor. Must find and try! Yeah totally! It is a hard habit to kick. I've definitely been better about it. And documenting my eats like this helps for some reason. You must try the coffee flavor, it is by far my favorite now.